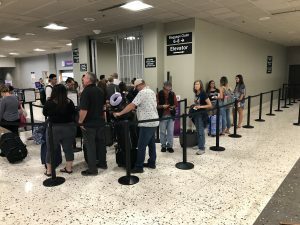 HONOLULU – The Hawaii Department of Transportation (HDOT) Airports Division alerts travelers to get dropped off at the Daniel K. Inouye International Airport (HNL) over the Spring Break travel season through next week. The Terminal 1, Terminal 2 and International parking structures at HNL have reached capacity. While stalls tend to become available after 3:00 p.m. daily, passengers may save time arranging plans to get dropped off instead of parking. During the busy travel periods passengers are urged to allow extra time to pass through security and arrive at the assigned gate. 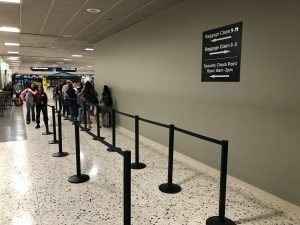 Passengers are allowed to use any of the nine available Transportation Security Administration (TSA) checkpoints throughout HNL regardless of their airline or gate. If one checkpoint has a long line, passengers can go to the next available checkpoint. 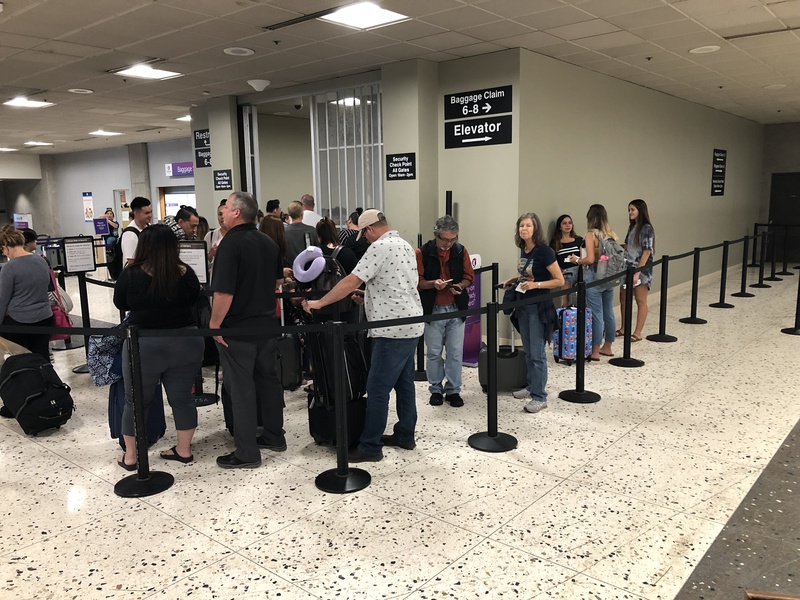 Passengers are reminded about the new TSA checkpoint on the ground level between baggage claims 8 and 9 of Terminal 1 at HNL that is available between 10 a.m. to 2 p.m. daily to help alleviate security line congestion during peak travel times. Passengers will check in and drop their luggage off on the second floor, then take an elevator, escalator or stairs to the ground level. The ground floor checkpoint accommodates general boarding passengers and does not have a separate Precheck line. It is not recommended for travelers with strollers, large carry-on baggage, those requiring special assistance or those who are not able to stand on an escalator as passengers using the checkpoint must take an escalator to the second level. To view a map of the nine TSA checkpoints, Wiki Wiki bus stations and parking garages at HNL please click here. 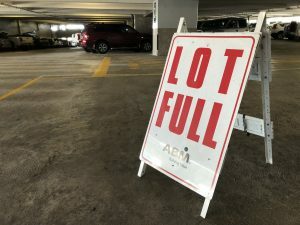 Parking lots at HNL have reached capacity during the morning hours this Spring Break. 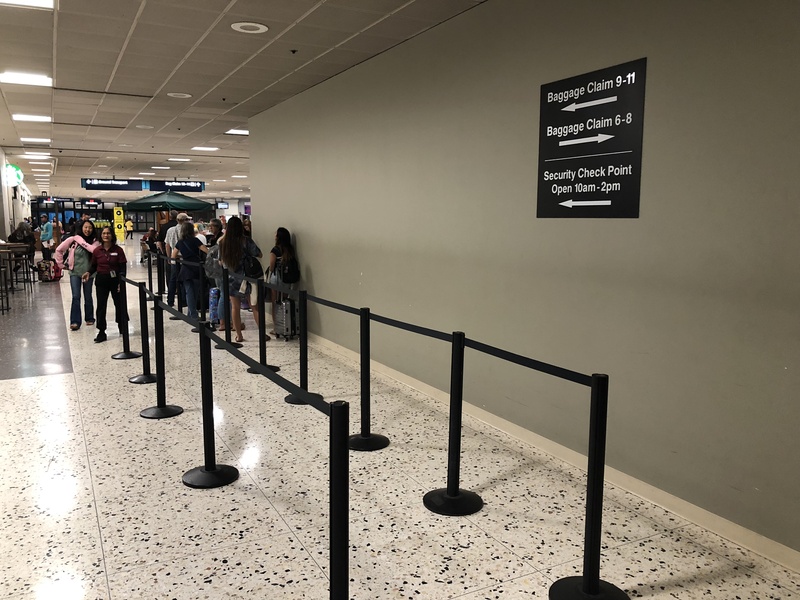 The new TSA checkpoint on the ground level between baggage claims 8 and 9 of Terminal 1 at HNL is available between 10 a.m. to 2 p.m. daily to help alleviate security line congestion during peak travel times. The ground level TSA checkpoint often has a shorter line than other available checkpoints.